The handheld sprinkler that attaches to any garden hose! 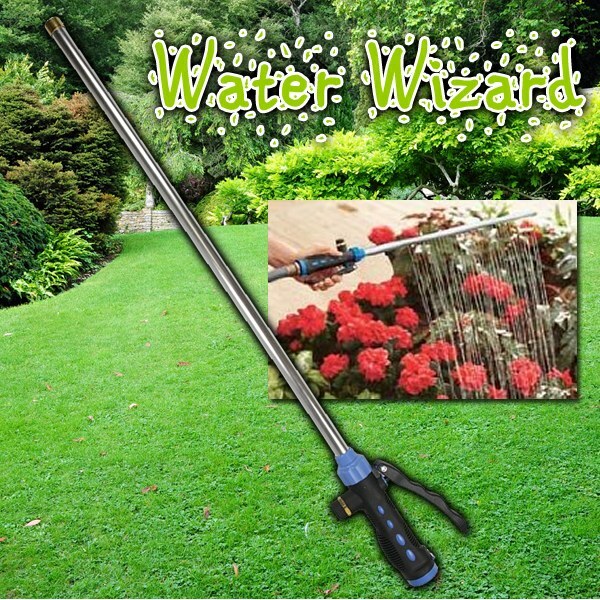 Water Wizard as seen on TV is the handheld sprinkler that attaches to any garden hose. It&apos;s gentle on plants and waters evenly and thoroughly. Water Wizard is easy to use. Simply attach to your garden hose, adjust spray and water! Water plants more thoroughly and evenly than ever before. Gentle enough for the most fragile plants. Perfect for the entire garden- flowers, shrubs, vegetables, container plants, hanging baskets, window boxes and more. Rotate the flow control knob for a light sprinkle, a steady shower or anything in between.